Lipoma is a common type of tumor that arises in one out of every thousand individuals. Read on to know all about the various types of these growths as well as their causes, symptoms, diagnosis and treatment. It is a non-cancerous, benign tumor that consists of adipose tissue. 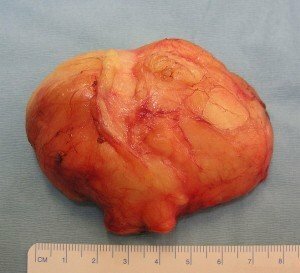 Lipomas are the most common type of slow-growing, soft tissue tumor. It is also known as “Soft Fatty Tumor”. Superficial Subcutaneous Lipomas are the most common of these growths and mostly develop on the thighs, forearms and the trunk. However, they may be found at any fatty region of the body. 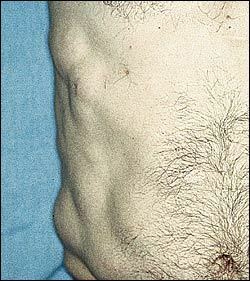 This is a rare growth of this type that develops over the abdomen of a person. It is usually of the size of a grapefruit. However, they may grow as large as a tennis ball in some cases. A large lump of this nature can give rise to sharp stinging pain in suffering individuals. It is a benign lipoma that mainly arises in the posterior part of the shoulders, neck and back of older men. These lumps comprise of multinucleated giant cells and are also referred to as “Pleomorphic Lipoma”. This is a rare type of bone lesion that is benign in nature. It arises in about 1% people who suffer from primary tumors of the bone. It is formed of mature adipose tissue that contains Atrophic Bone Trabeculae. These lesions are diagnosed with the aid of MR scans, CT Scans and even X Ray Imaging Tests in some cases. Difficult cases of this type of growths can be diagnosed with the aid of Histological Examination. It is the rarest type of Primary Bone Tumor and is generally asymptomatic. It is usually discovered accidentally while diagnosing some other unrelated condition. These are fatty cysts that stick out from the lumbar facsia and are about ½ inch in size. It is regarded as a lump containing fatty cells and is also frequently referred to as “Fatty Tumor”. This type of tumor is often seen to arise from a prior injury or trauma. These appear as fat nodules in the area surrounding the sacrum. This is a type of Lipoma that arises in dogs. It is composed of fatty (adipose) tissues and is usually common in adult canines. These lesions are generally benign and are generally not removed in dogs who are suffering from Kidney disorders, Liver ailments and Heart diseases. In some dogs, there may even be post-surgery complications like redness and inflammation in the recently operated area. It is a type of benign Lipoma that arises as a single lesion that arises under the skin. 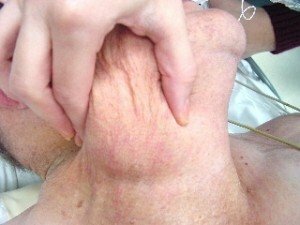 In older men, these lesions appear in the neck, shoulders and the back. Multiple spindle cell Lipomas are rare. This is a comparatively common type of benign neoplasm that infiltrates the skeletal muscle. It is due to this reason that they are also known as Infiltrating Lipoma. These lesions are described as abnormal benign mesenchymal tumors. These rarely arise in the neck and the head. They arise from the fibers of the skeletal muscle and are rarely well confined. This is an extremely uncommon tumor of the synovium. It affects the synovial lining of the bursae and the joints. It is a rare intra-articular lesion that is often described as an uncommon idiopathic joint disorder. It appears as a Lipoma of irregular shape. It is characterized by Hyperplasia or increase in the number of cells of mature fatty tissue in the subsynovial layer. The condition is commonly found to affect the suprapatellar pouch in the knee joint. These soft tissue lumps frequently arise in the subcutaneous tissue that is situated above the muscle and beneath the skin. These are slow growing but can enlarge into a sizeable growth. Multiple Lipomas can arise on the body, particularly on the shoulders, neck, arms and the back. Less frequently, these lumps may grow on almost any organ within the body. They may also appear on other areas of the body. These tumors appear as circular, flat growths that are spongy and soft to touch. These may also move around beneath the skin. These can be bad in appearance but usually do not give rise to discomforting sensations like tenderness and pain. Most superficial cutaneous Lipomas on the trunk or legs are less than 5 cm in size. These are present as round, painless and mobile growths and feel soft as well as doughy to touch. Men are usually more susceptible to have multiple Lipoma growths than women. However, both sexes are equally at risk of having single lumps of this type. Medical researchers have not been able to find the cause of Lipomas. According to most experts, the rise of these growths is dependent on genetic factors. This is due to the fact that the lumps are seen to arise in generations in the same families. Family history is, thus, supposed to play a role in the rise of these growths. People with a sibling or parent suffering from this condition are more likely to have this growth. Injuries to an area have also been found to trigger the growth of Lipoma tumors. These growths can arise in subcutaneous tissue that has been traumatized or injured. A minor injury may act as a trigger factor for this growth. In individuals with multiple Lipomas a highly rare acquired syndrome called Familial Multiple Lipomatosis is found to be the causative agent. Lipomas are often believed to arise in people with higher body weight. However, no medical study has supported this theory. These growths are generally diagnosed by judging their physical appearance. However, healthcare providers may remove the growth during diagnosis to make sure that it is a noncancerous growth. The approach used for Lipoma diagnosis often depends on its characteristics and location. Superficial cutaneous Lipomas are frequently diagnosed on physical examination and the medical history of the sufferer. Physical examination is also accompanied by examination of the tissue surrounding the lesion. If lesions are found to arise in other regions, biopsy and imaging tests such as CT scan, MRI scan or ultrasounds may be needed. Imaging tests are also helpful if the Lipoma is large and possesses abnormal characteristics or seems to be deeper than the fatty tissue. It is important to rule out presence of any cancerous disorders like Liposarcoma to make a proper diagnosis of the condition. If doctors suspect the presence of Liposarcoma, biopsy and MRI or CT scans may be carried out. The treatment of Lipoma lumps is generally unnecessary. Treatment is generally required if the tumor turns painful or obstructs motion in sufferers. In most cases, these are removed for cosmetic purposes and to improve appearance of the affected person. Surgical removal also becomes necessary if they grow very big or if doctors suspect them to be a dangerous kind of tumor, such as a Liposarcoma. 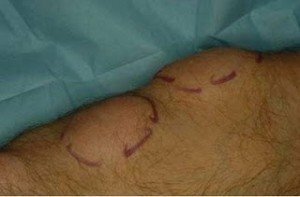 These lumps often need to be removed to examine them professionally. However, these are non-cancerous growths and do not result in any severe health complication. If the growth is found to be soft and composed of soft connective tissues, Liposuction can be considered for removal. This procedure involves less chances of scarring. However, it may be ineffective in removing large tumors completely. This can result in re-growth of the lumps. These days, newer methods have been developed to avoid scarring after Lipoma removal. 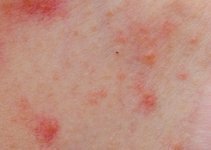 These involve injecting substances like Phosphatidylcholine or Steroid into the affected spot. Removal of Lipomas is also necessary if the patient suffers from tenderness and pain in the region of the growth. If foul smell emanates from the lumps, it can be a sign of infection and inflammation. An infected Lipoma can be dangerous for the health of the sufferer. These growths are usually removed with the aid of simple excision. Removal is frequently carried out under local anesthetic and is completed within 30 minutes. Excision cures most cases with lumps recurring in just 1-2% cases. Surgical operation for removing these growths is usually carried out in a doctor’s chamber or an outpatient surgery center. Removal is performed after injecting a local anesthesia in the region surrounding the abnormal growths. An incision is then made in the skin surface to remove the lump. If the growths are located very deep in the skin, it is important to carry on surgery on the lump while the patient is under the effect of general anesthesia. The cost of removing these growths depends on the number of these lumps and also on how complicated the removal procedure is. Medical insurance does not always cover the cost of these lumps. As aforesaid, Lipoma is a benign growth on the human body. It is a non-cancerous growth that is absolutely non-threatening for the health of sufferers. It is only rarely that they can cause cancer in affected individuals. The chance of developing a cancerous condition from this type of a growth is less than 1%. These lumps are similar to moles comprising of fat cells. Here are some Lipoma photos that you will find useful for reference. Take a look at these Lipoma images to get an idea about the appearance of these growths. If you suspect yourself to be suffering from this type of a growth, get in touch with a professional healthcare provider. Delay in treatment can make the growth enlarged in size and cause you more pain and discomfort. Early diagnosis and treatment will help you get rid of such discomforts and get cured more quickly.